So cute! I love the French knots on his tentacles. Adorable! I like how you didn't restrict yourself to a "traditional" ocean palate of blues. I just picked up my embroidery again and your blog is a huge inspiration to me! What an interesting machine! 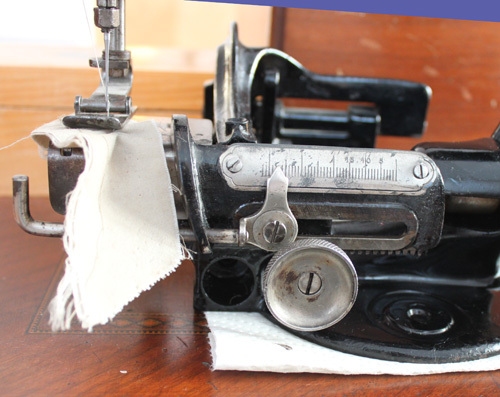 Do you sew with your antiques or are they strictly for decorative purposes? The Octopus looks very beautiful with all the details taken in to considerations. Thanks for sharing this antique machine details with us. 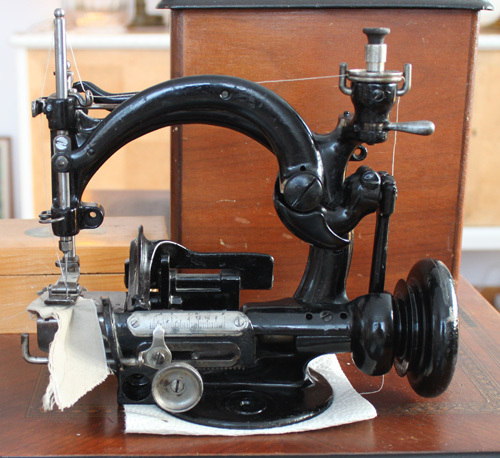 hello, you have a lucky find- this is a straw hat sewing machine!